Rock those killer curves in our figure hugging bodysuits. Our collection of tops can be worn from daytime to night-time we have plenty of styles to pick from in this collection. With contrast lace styles and crochet edging killing it at the moment why not show off those gorgeous curves in a fitted bodysuit. 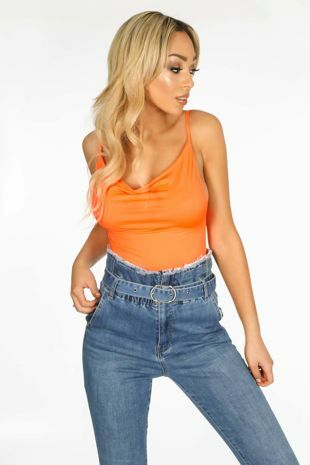 From casual leotard jersey basics to going out slay in our lace backless seductive bodys, easy to team with your wardrobe stapes jeans or skorts. Eye catching tassel bodysuits to delicate eyelash lace designs, here at Dressed in Lucy we got you covered on the latest bodysuit styles. Trending this season is lace up back detail, tropical floral prints and not forgetting chain print seen all over this seasons catwalk shows. Whatever your type is we got you covered, shop our badass women bodysuits down below!